Can you guess which season each of these printable, color-me bookmarks represent? • simply to print, cut, color and enjoy all year long! I recommend printing these on heavy card stock. You may laminate them or protect them with clear contact paper, use a single hole-punch and add a ribbon, break out the glitter and embellishments and let the kids’ creativity run wild, or my favorite, all of the above! 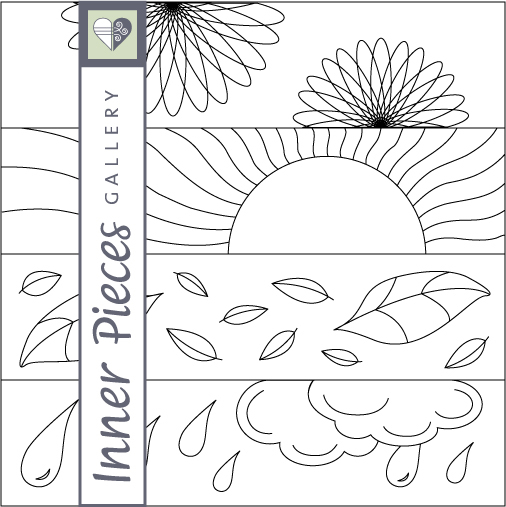 If you haven’t done so already, sign up for the Inner Pieces Gallery newsletter below for access to free printables, including this one. Plus receive my own personal take on improving learning skills, on children’s books that empower kids, and more. It’s a simple way to stay in the loop so stay tuned. There’s more to come!